I wrote earlier about the Patio Bed and how the planting wasn’t quite right. 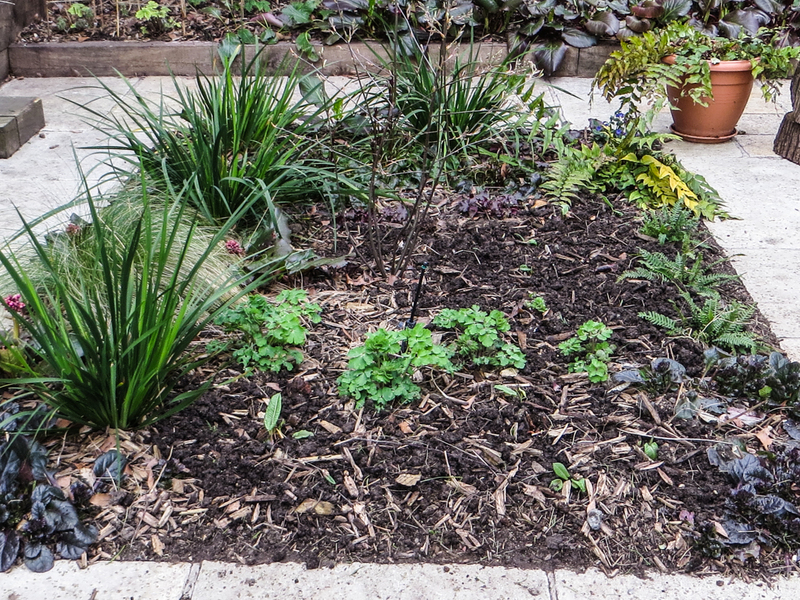 The new planting is now in place according to the plan and I wait to see what happens next. The bare patches are planted with Persicaria ‘Superba’ and there are also some Heuchera ‘Purple Palace’. 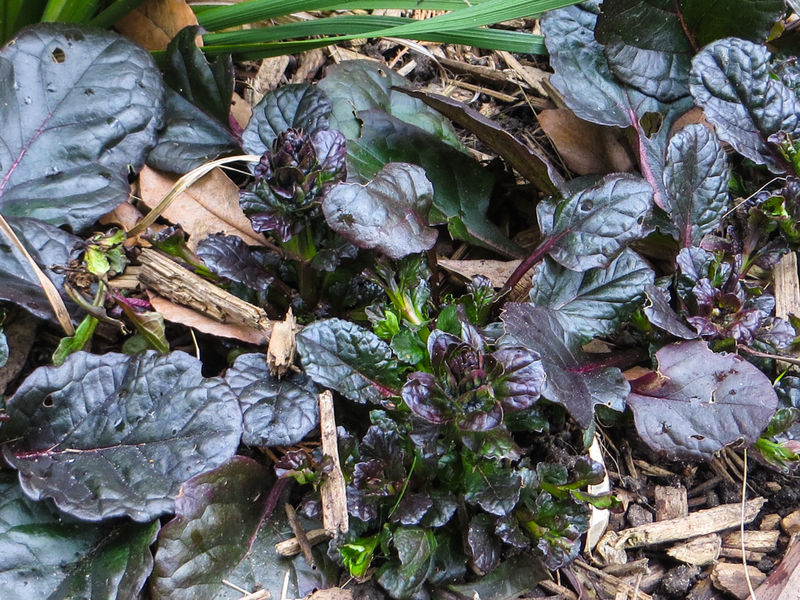 The Aquilegia ‘Black Barlow’ are coming up – I thought I had lost one – and the Ajuga are getting ready to flower! 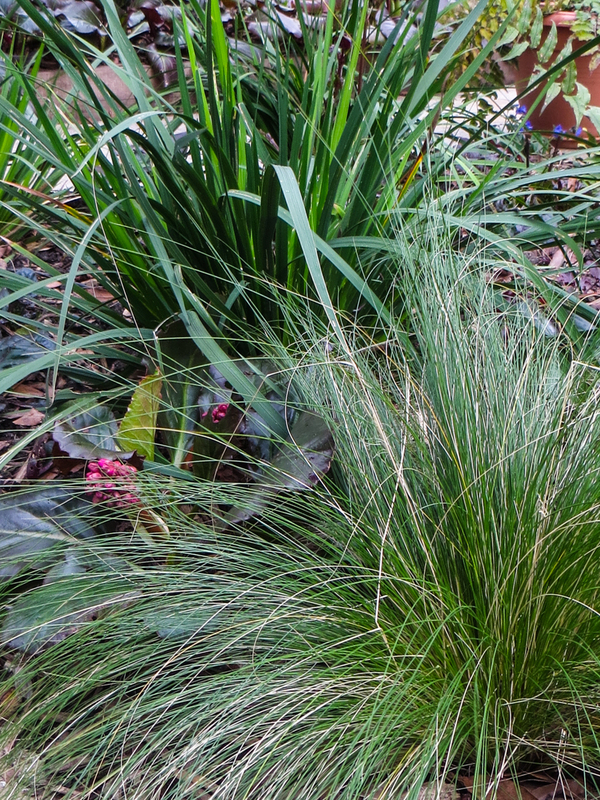 I left one of the Stipa Tenuissima between the Libertia because it was doing well – the others have been moved to another part of the garden to join larger grasses. 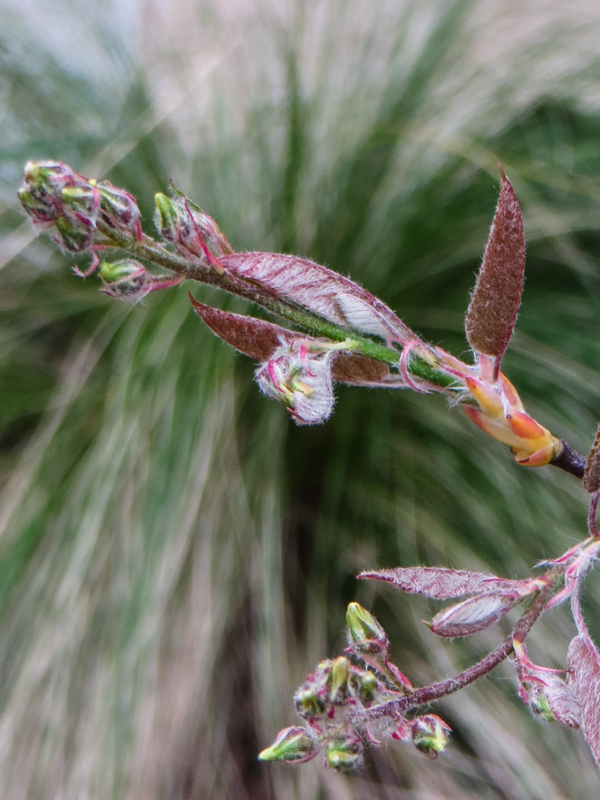 And the Amelanchier is about to burst into leaf and bud! I am reasonably happy with the planting in these two beds – the patio and the flint wall – and I hope I have foiled the snails. Now I need to do something about the shady, dry corner which I think will be difficult.